Have you heard about our new, shorter courses, run by experts? 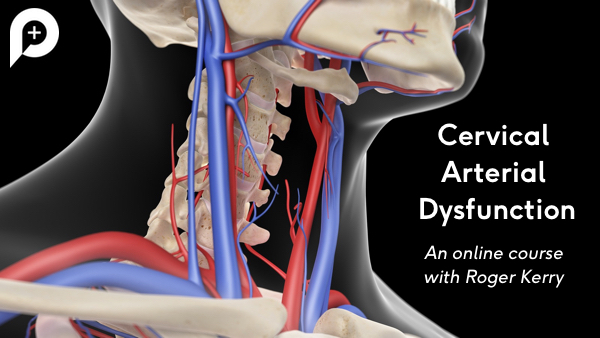 Here’s one of the first, on cervical arterial dysfunction, from Roger Kerry of the University of Nottingham. In these new shorter version courses we are working with topic specialists to share their knowledge on specific topics to help keep you up to date and shape your clinical practice. Each course will consist of 1-2 hours worth of videos, reading materials and a quiz at the end to test your knowledge. In this course Roger talks about identifying vascular pathologies and making clinical risk management decisions. He discusses how to make safe clinical decisions that take into account these very serious issues and how the related framework for clinical practice is being updated in 2018. Reading materials include an evidence based summary of the topic and the IFOMPT guidelines. It’s a must for all those who assess and treat the cervical spine.